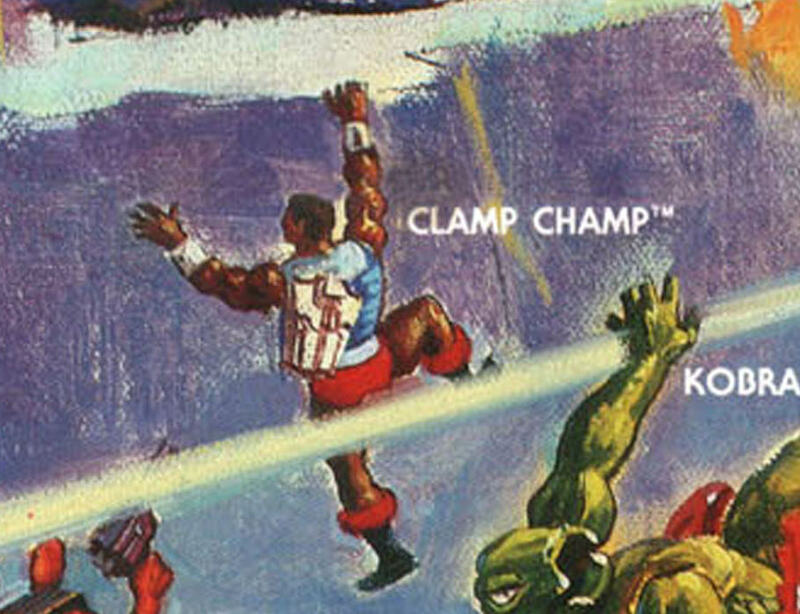 Clamp Champ nimbly escaped my detection as a kid. 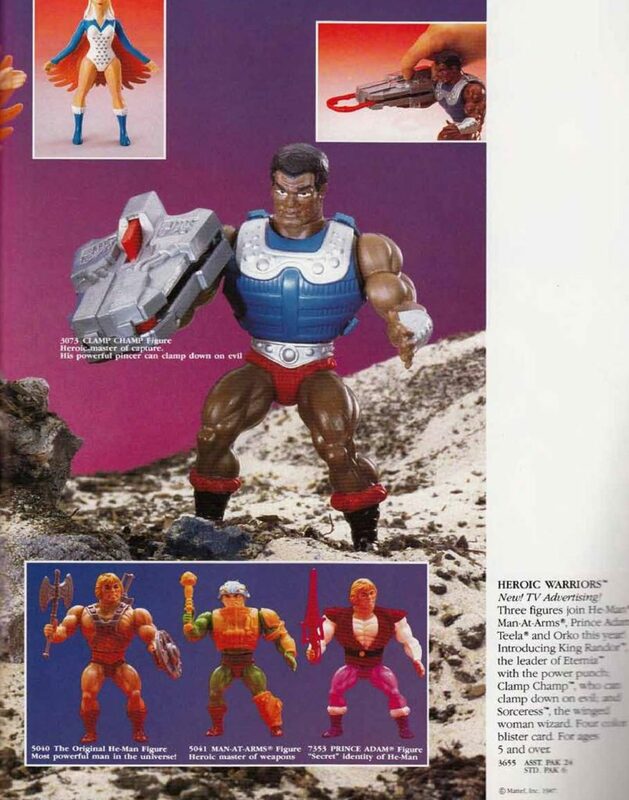 By 1987 I really wasn’t into He-Man anymore, and the only figures released that year that I was kind of dimly aware of were Mosquitor, Scare Glow and King Randor. But I think had I seen Clamp Champ on the shelves I would have dug him. 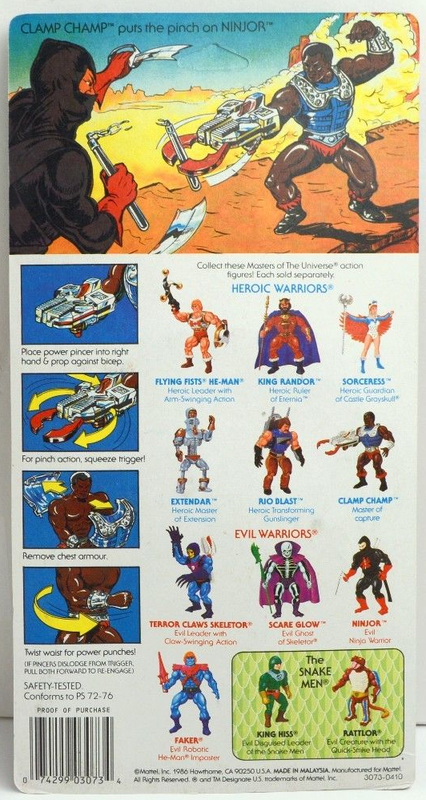 Ironically some of my least favorite figures (heroic warriors especially) come from 1986, a year when a lot of new tooling was brought into the Masters of the Universe toyline. It’s great that they invested the money, but stylistically a lot of it just wasn’t my thing. 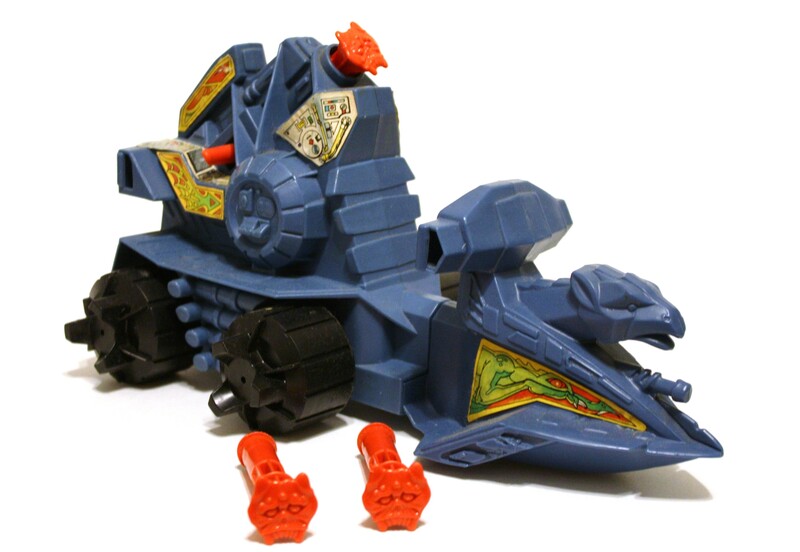 By bringing back some shared parts in the 1987 line, the feel of the toys became much more familiar and in line with its established style. 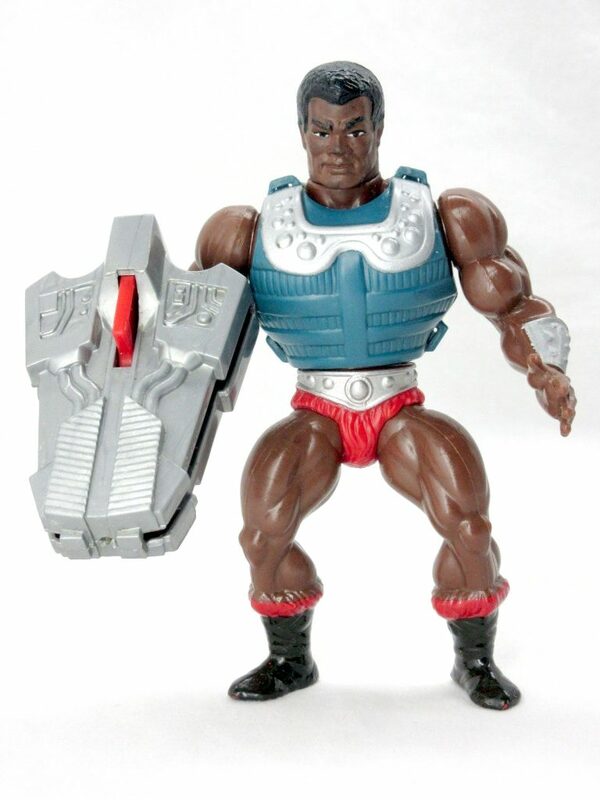 Clamp Champ in particular feels like an early MOTU figure, because his body isn’t overly encumbered by gimmicky action features. His gimmick is entirely in his weapon. 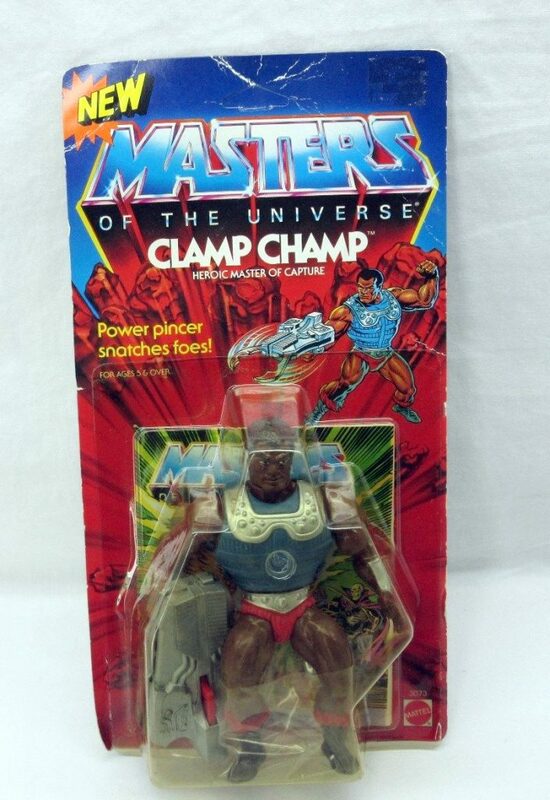 Clamp Champ reuses the legs, crotch, chest and arms from He-Man and the armor from Fisto (albeit warped slightly to make it fit on the slightly larger chest from He-Man). He’s given a newly sculpted head as well as a clamp weapon (“power pincer”). 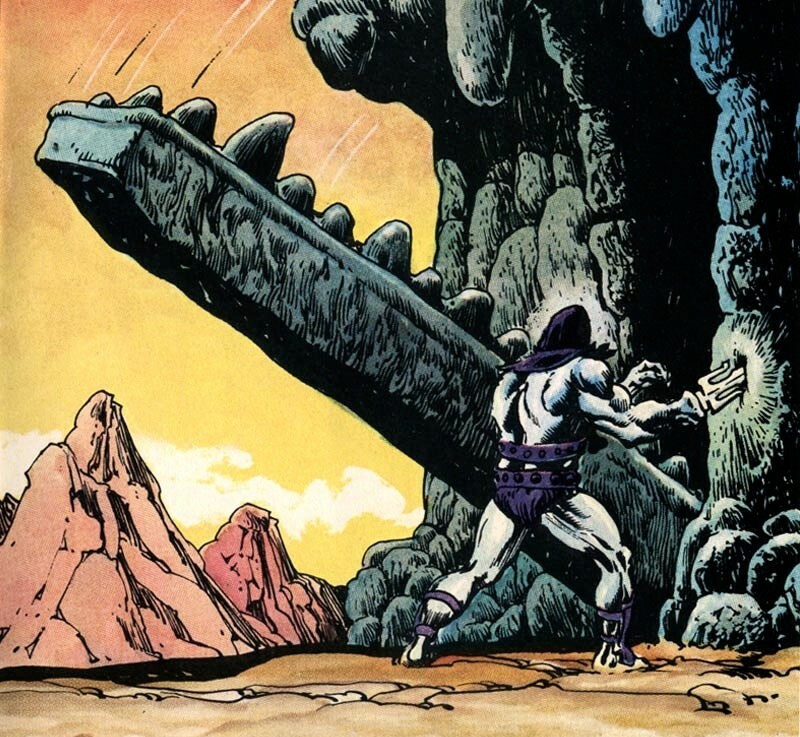 The figure was designed by David Wolfram, who also designed Tyrantisaurus Rex, Laser Light Skeletor, King Randor (action figure), Scare Glow, and others. 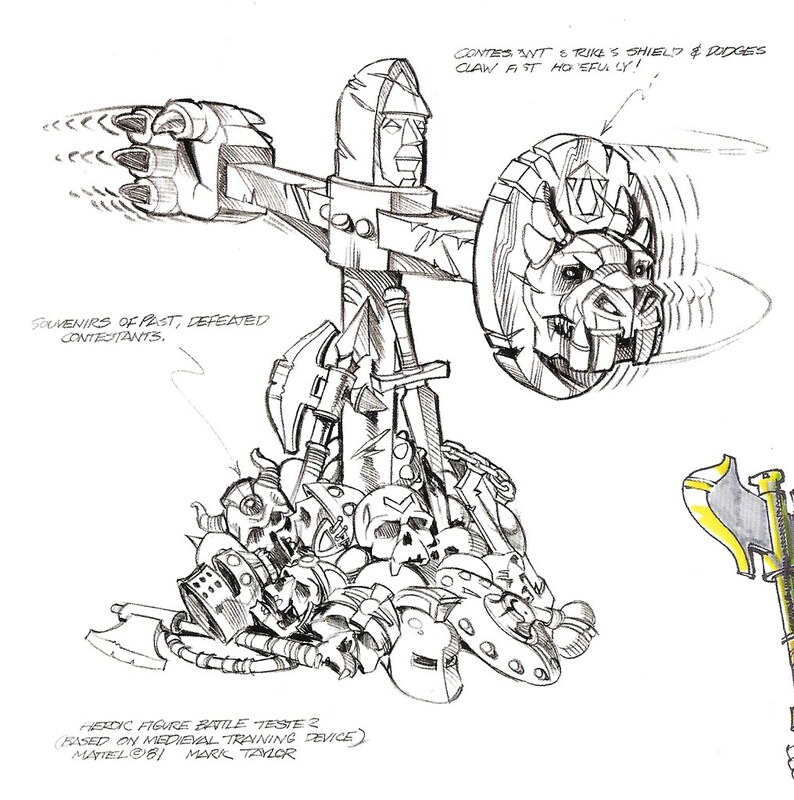 Clamp Champ’s cross sell artwork closely matched the final toy. 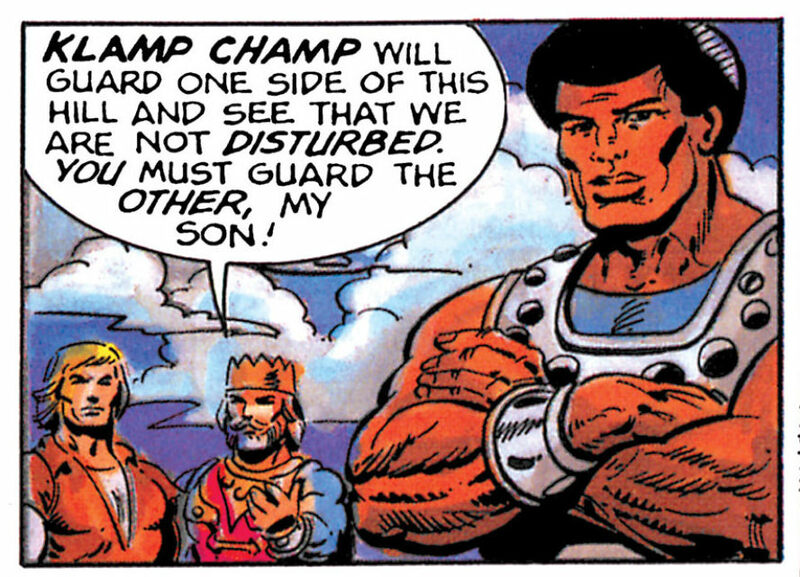 He’s given some nice paint deco, including two tone boots and painted bracers, like King Randor. 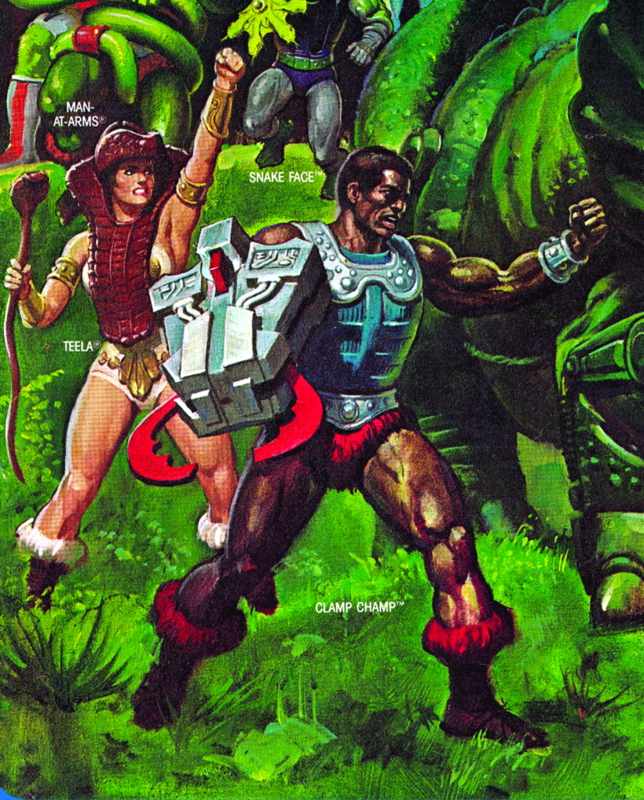 This level of paint detail, ironically, was never given to the original He-Man figure, although it was certainly planned in the prototype stage. 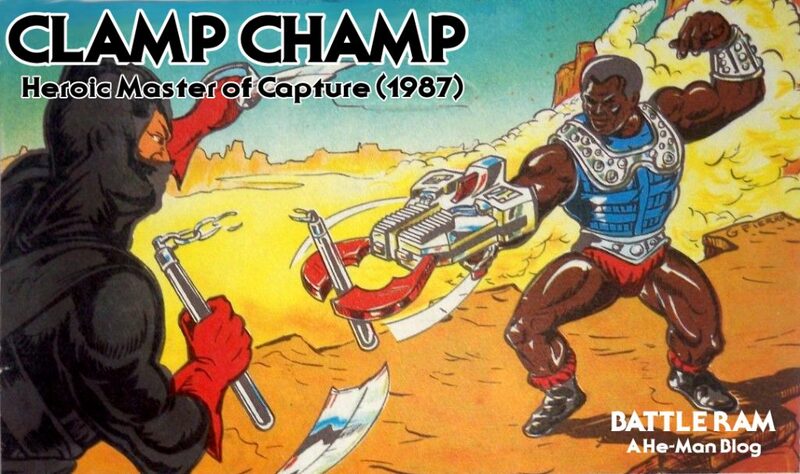 In Clamp Champ’s packaging art (above), he faces off against Ninjor, just as he did in his commercial and in other media. 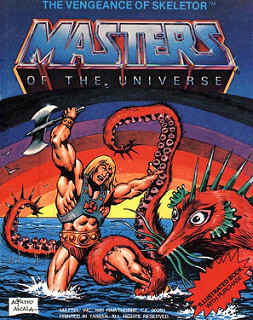 Nothing seems to make the two characters obvious nemeses, other than the fact that they were released in the same year. 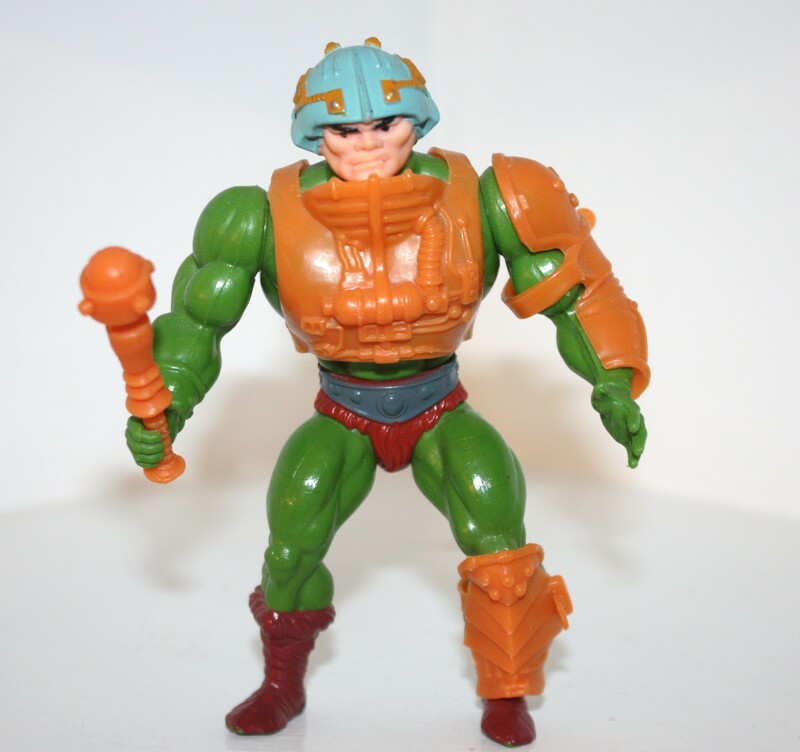 This brave and gallant knight is responsible for guarding King Randor and the Royal Palace of Eternia. 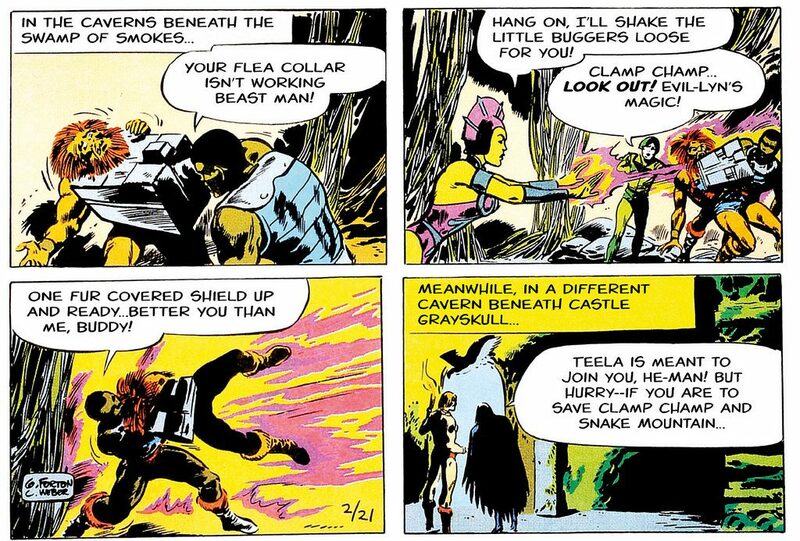 We see these elements in the minicomic he came packed with, The Search For Keldor (illustrated by Bruce Timm, story by Steven Grant). 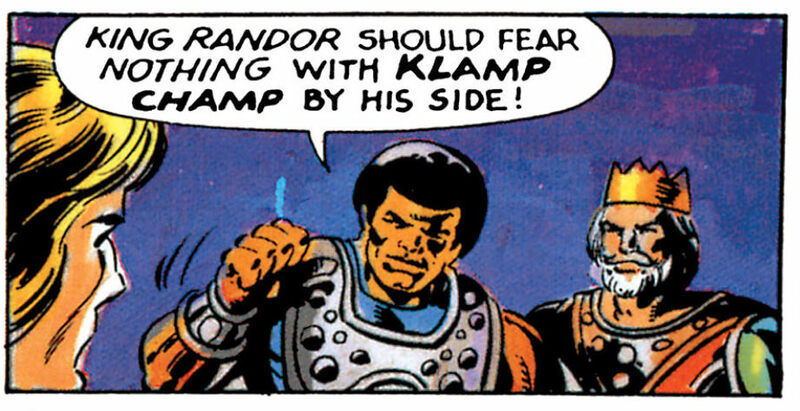 In the story, “Klamp Champ” (probably an early spelling of the name, later dropped) is a tireless, loyal defender of King Randor who uses his might (but not his clamp weapon) to defeat Ninjor. 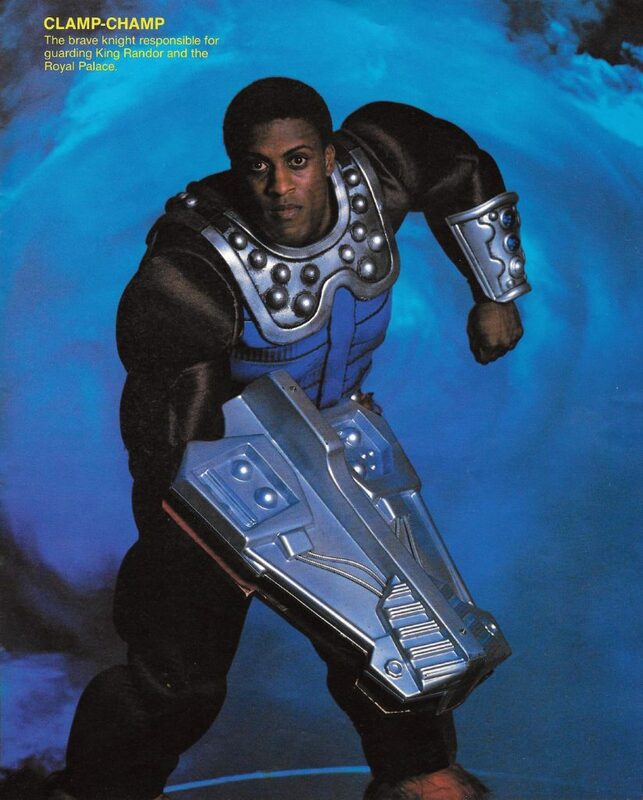 He’s depicted as strong, agile, and in possession of super senses that prevent him from being taken by surprise. 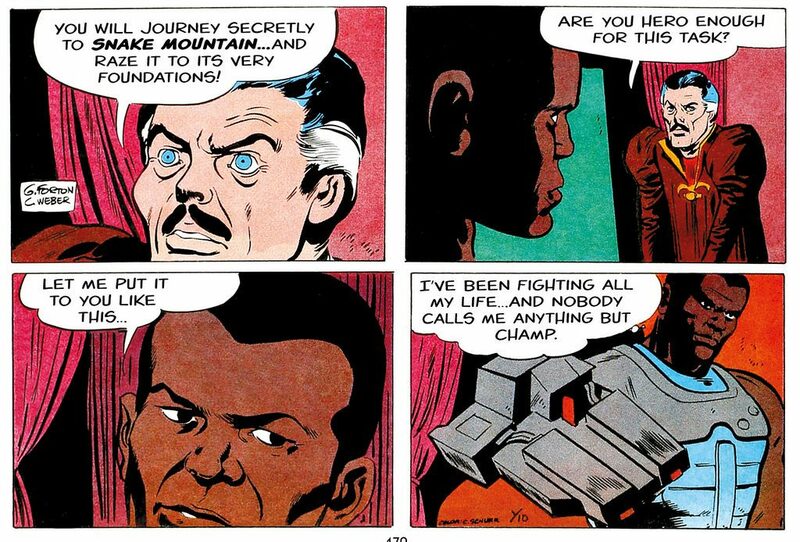 Clamp Champ battles against a bizarrely off-model Beast Man (update: per Dušan M., it’s meant to represent the movie version of Beast Man, although it looks more like a blend between movie and toy) in the MOTU newspaper strip story, “Attack on Snake Mountain”. Note that his description above paraphrases the 1987 Style Guide. 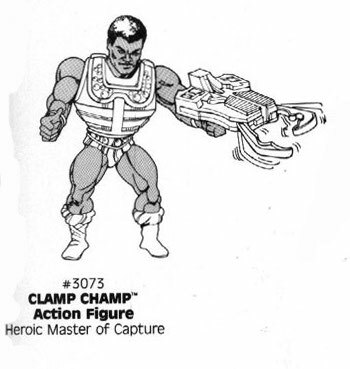 Because Clamp Champ came out at the tail end of the toyline (and wasn’t around in stories for years before, like Sorceress or King Randor), there isn’t a great deal of back story to the character. 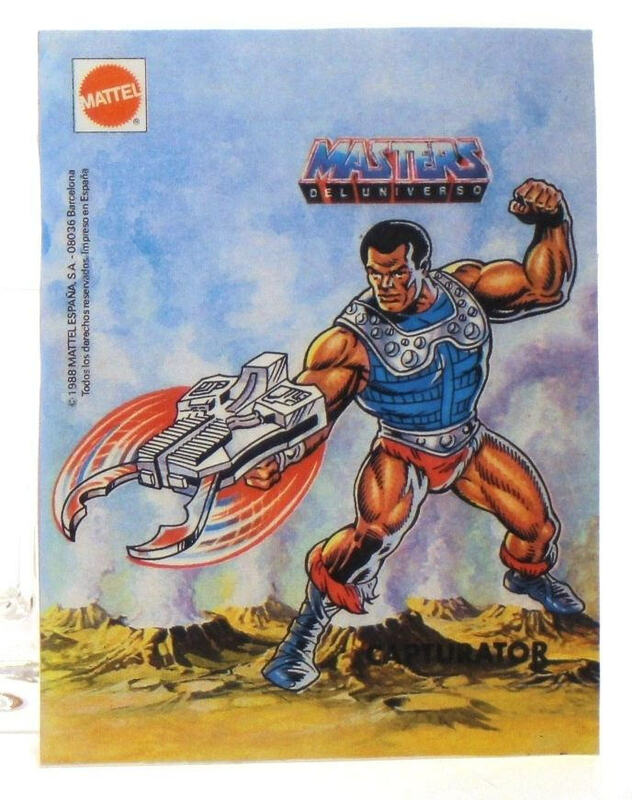 His narrative arc is at least expanded somewhat in the Masters of the Universe Classics continuity, but I’ll write more about that in a separate article. 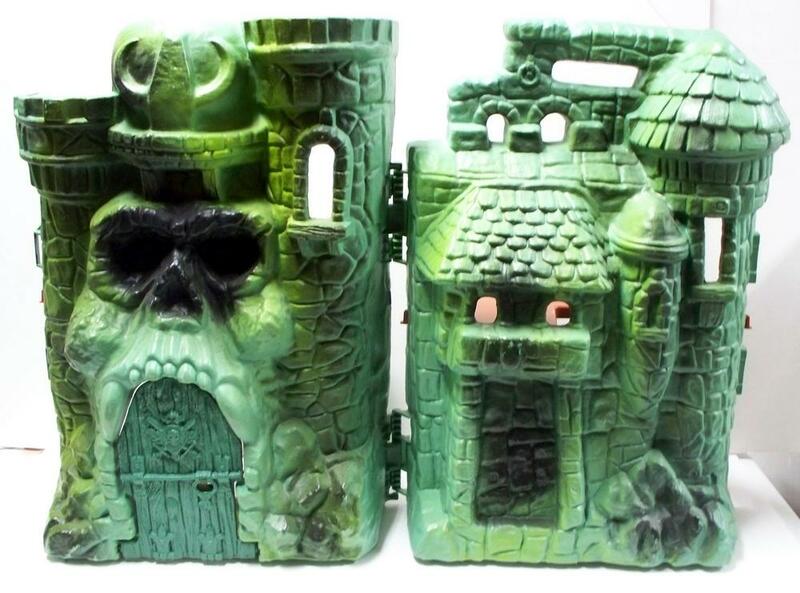 Masters of the Universe Classics Castle Grayskull, released in December of 2013, was quite an achievement in an era when big playsets are becoming rarer and rarer. 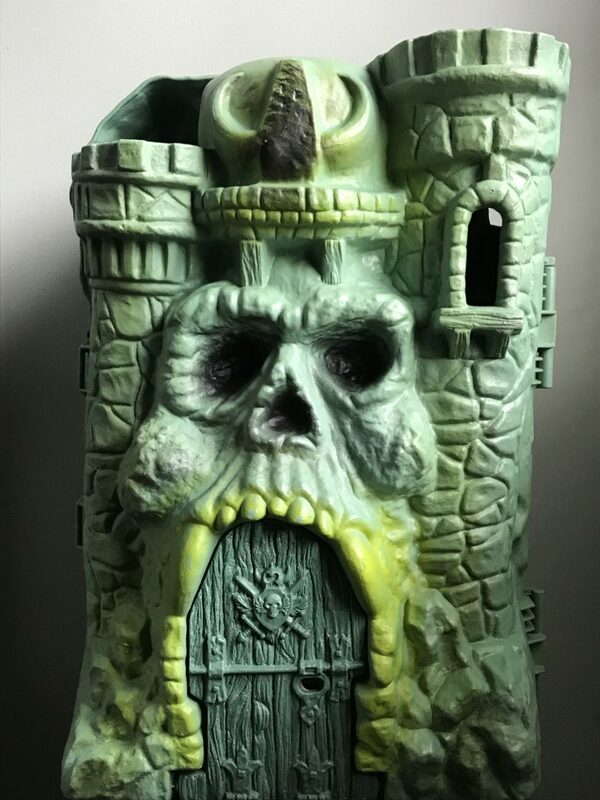 Larger, more complex and more detailed than the original, Classics Castle Grayskull was offered for a preorder price of $250 – more than three times the inflation-adjusted cost of the original, but still not bad given the size, complexity, and lower number of units produced. 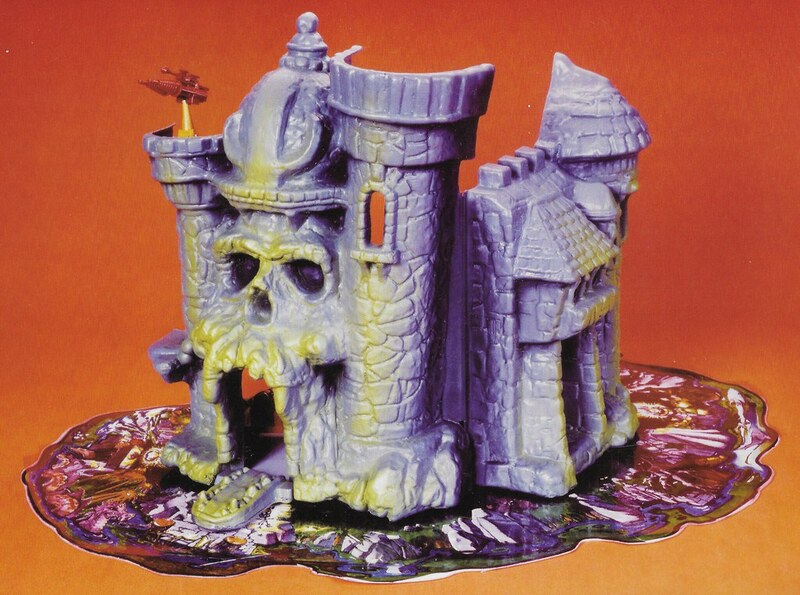 MOTU Classics Castle Grayskull’s biggest single influence is the original prototype playset sculpted by Mark Taylor in 1981, although the Classics version is somewhat tamer and less decrepit looking. 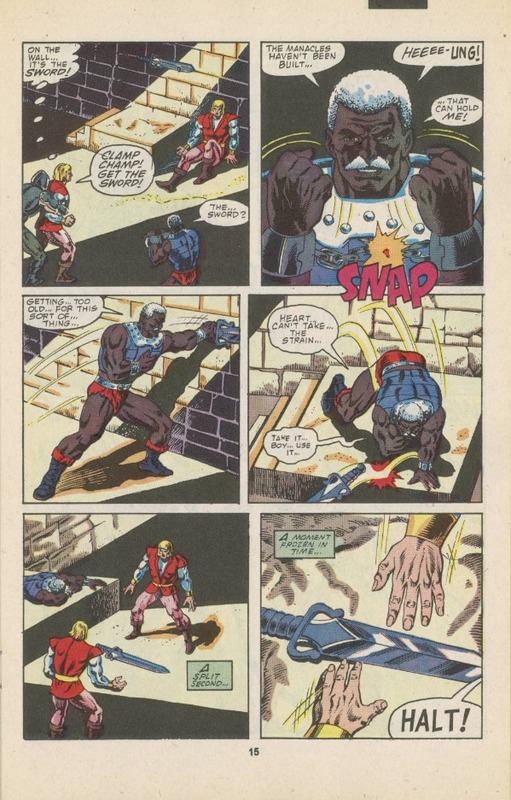 Some of this influence is no doubt filtered through the cross sell artwork and minicomic depictions by Alfredo Alcala (both based on the prototype). 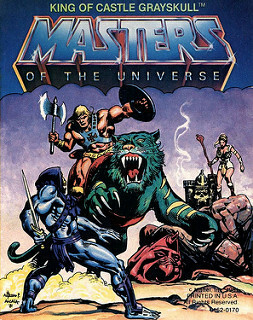 Other influences include some invented details from Alfredo Alcala’s artwork, the original, vintage Castle Grayskull playset, the original Rudy Obero box art, and a concept Dungeon playset designed by Ted Mayer. The large weapons rack on the right was sold separately from the castle. The manhole cover on the floor is a custom by BadVermin. Throne room. The purple banner on the left was invented for this castle – the one on the right based on the vintage castle’s banner. Custom triangular weapons rack, by Barbarossa Custom Creations, based on a cardback insert included with the vintage castle. Most of these weapons came with the Classics Castle. 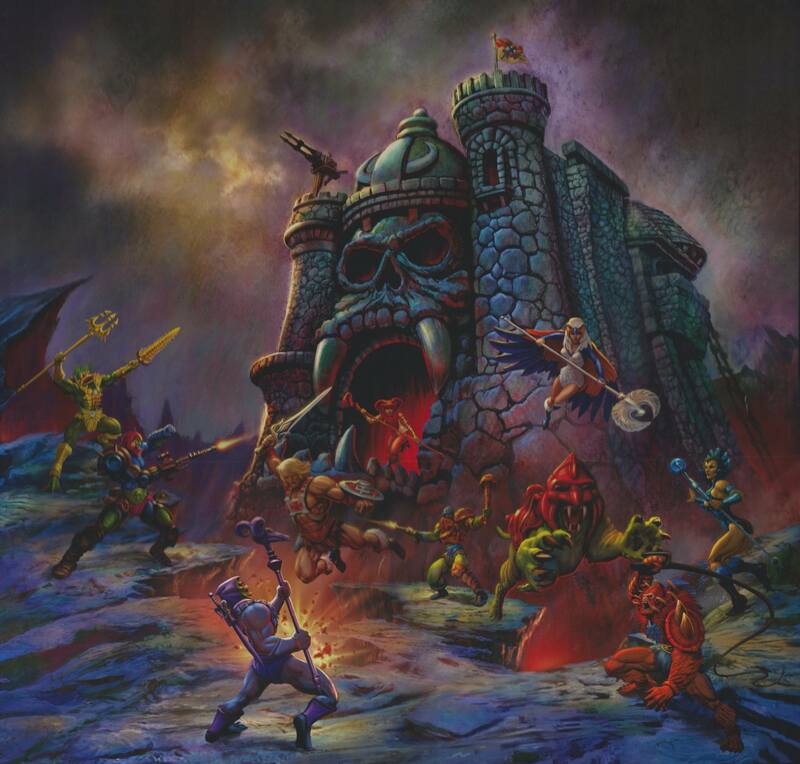 The Spirit of Grayskull haunts the throne room. Castle Grayskullman guards the dungeon. 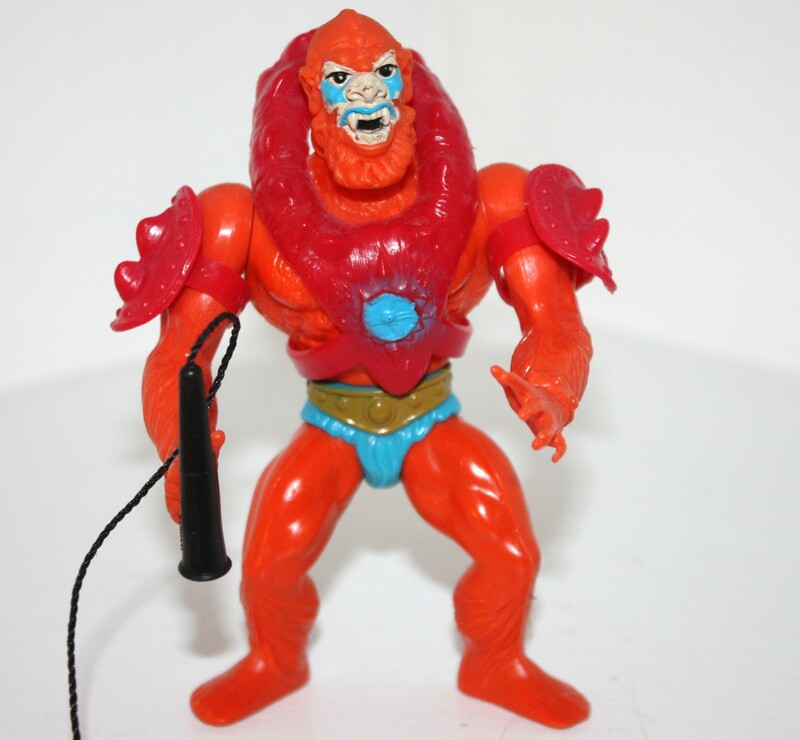 Scare Glow, produced several years before MOTU Classics Castle Grayskull. 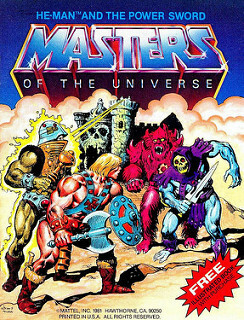 came with a secret key to Castle Grayskull. Scare Glow’s key fits into a keyhole on the secret side door, providing enough leverage to open the door. 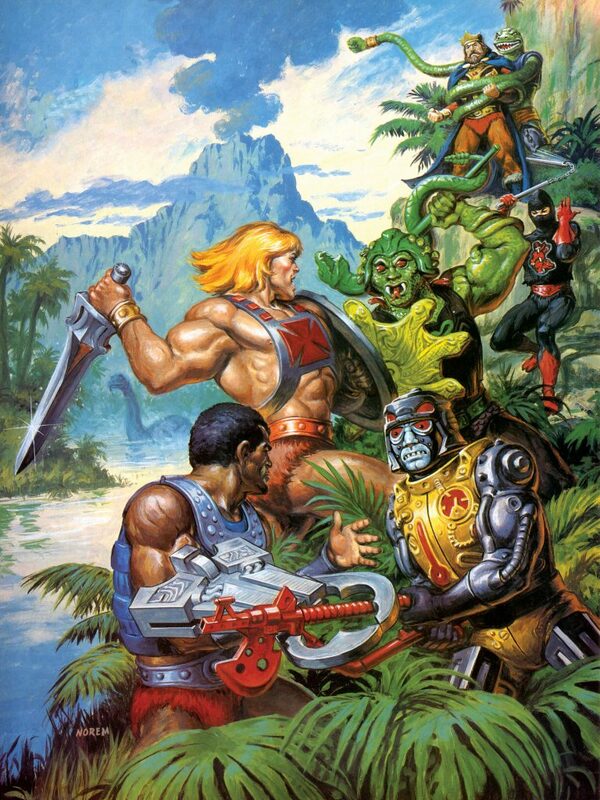 He-Man stands on the open jaw bridge. 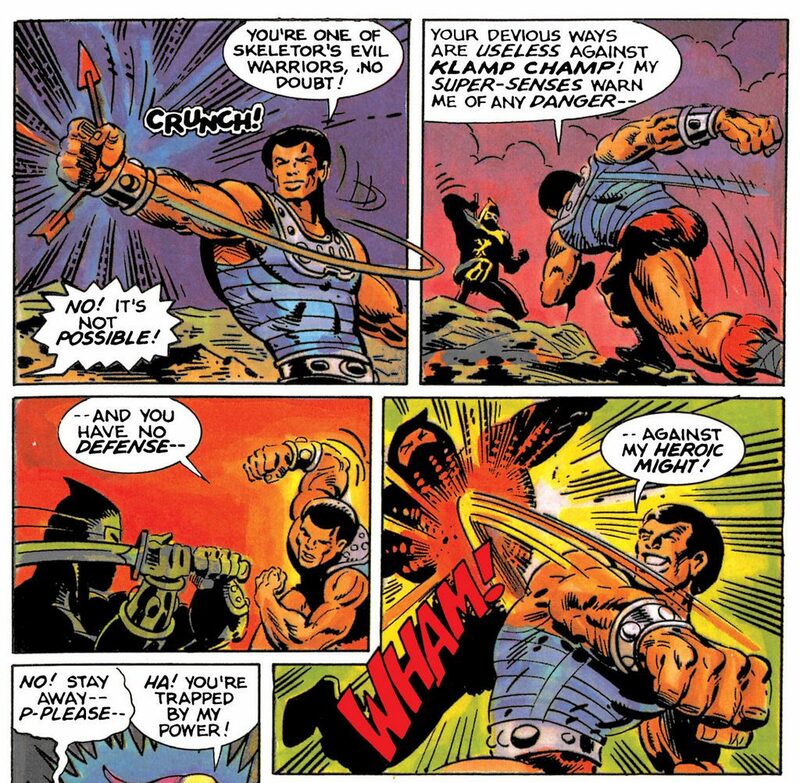 The jaw bridge opens by inserting the power sword into the small opening to the right – a nod to the vintage minicomics. The evil warriors sneak around the back. Another copy of the vintage prototype. Photo courtesy of Andy Youssi. Photo courtesy of Andy Youssi. 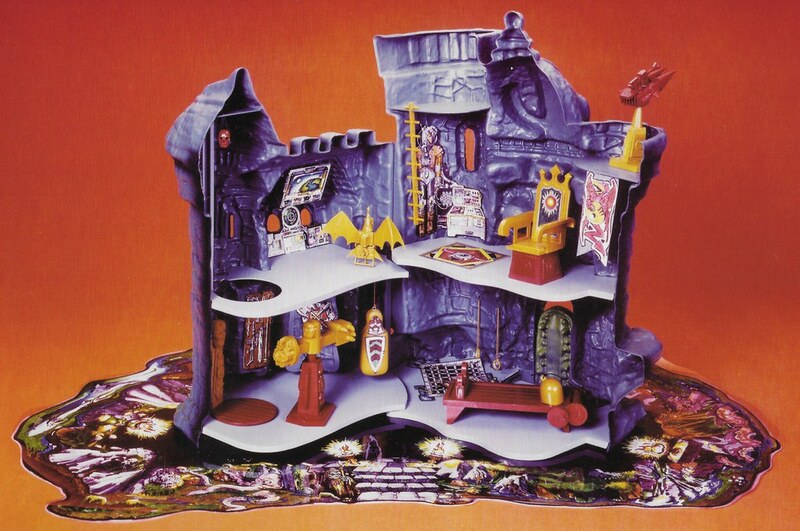 There are several unique touches to the playset as well, including an additional secret door off the side of the throne room, a secret orb room in the back side of the helmet, and extended floor with plug for Wind Raider stand, and an “evil” throne room banner to match the original “good” one. 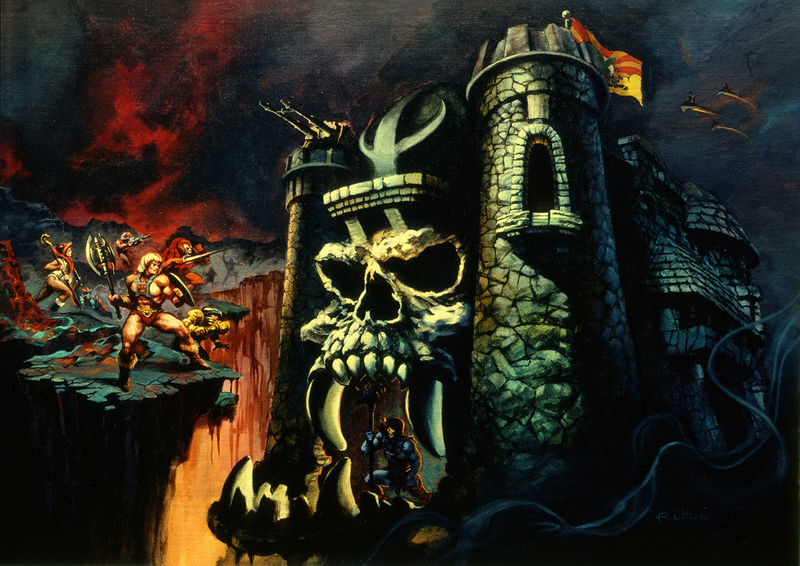 The original design for the Classics Castle Grayskull (artwork by Nate Baertsch, who is a frequent collaborator with the Four Horsemen) was to include a number of other goodies as well, including a clear “Spirit of Grayskull” display (from Alfredo Alcala’s artwork), a removable dungeon, a triangular weapons rack, a mechanism to open the secret door on the castle’s left tower, a sculpted dungeon grate, and a few other goodies. These seem to have been removed from the final product due to cost. 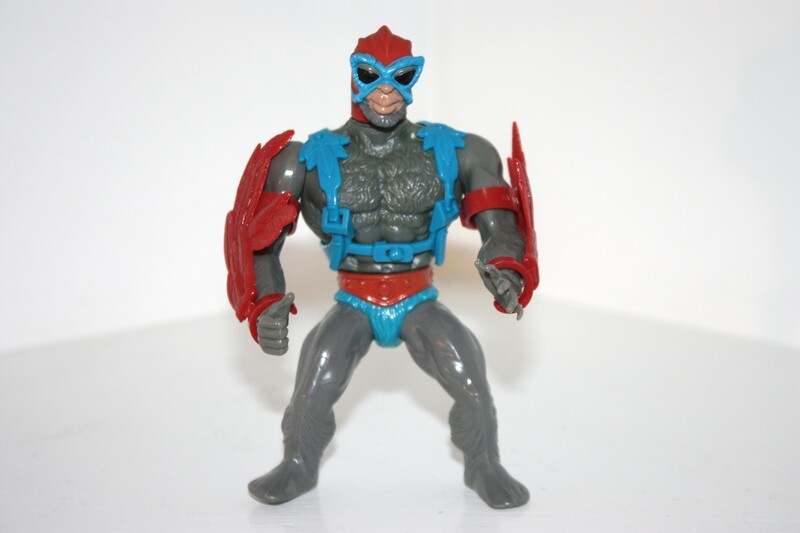 The Masters of the Universe He-Man figure, released in December of 2008 (almost nine years ago!) is actually one of the least impressive of the early Classics figures, in my opinion. 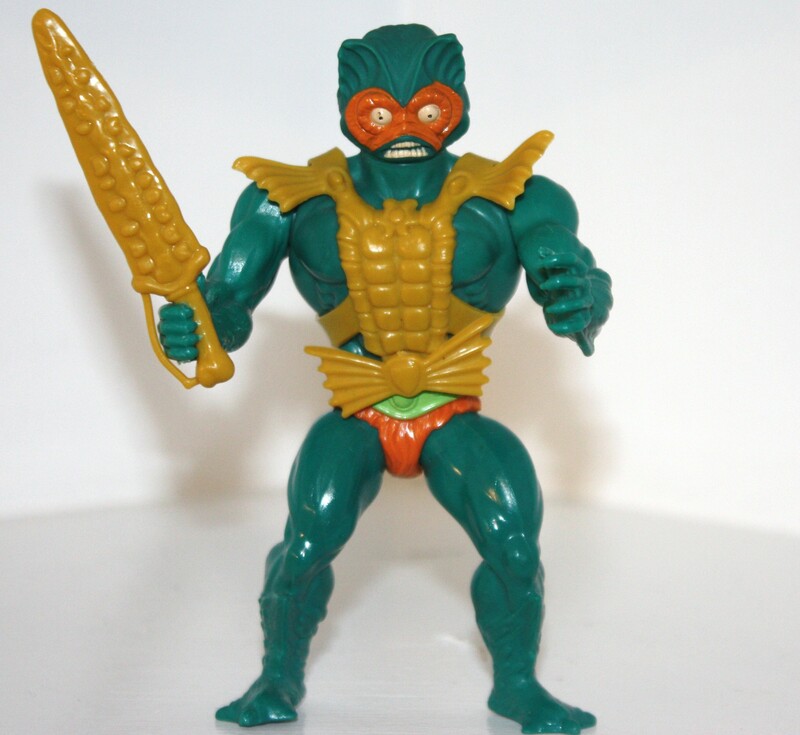 Compared to figures like Skeletor, Mer-Man and Man-At-Arms, this incarnation of He-Man looks pretty bland, although later figures would come with bonus accessories that could be used to spruce him up a bit. Most Classics figures based on the original eight 1982 figures draw their inspiration from vintage cross sell artwork. 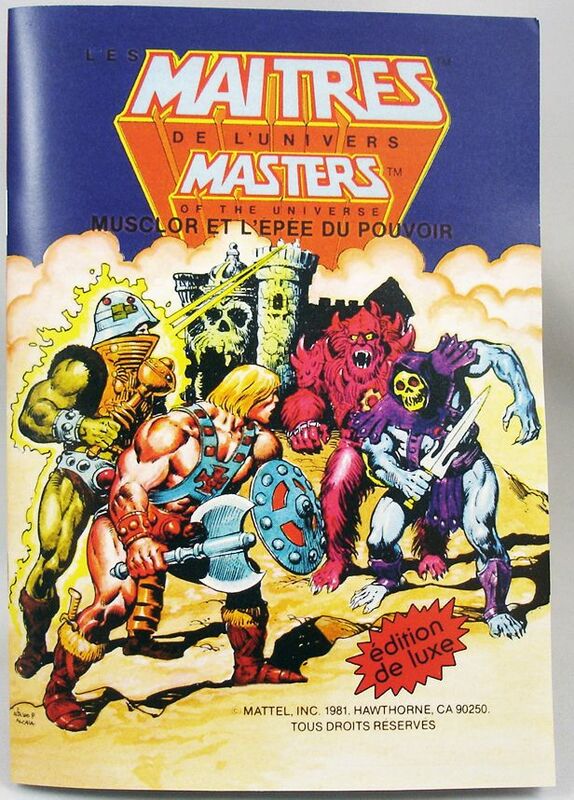 In the case of He-Man, his cross sell artwork was almost identical to the toy itself. But the Classics figure is actually less detailed than that source material in a few ways. 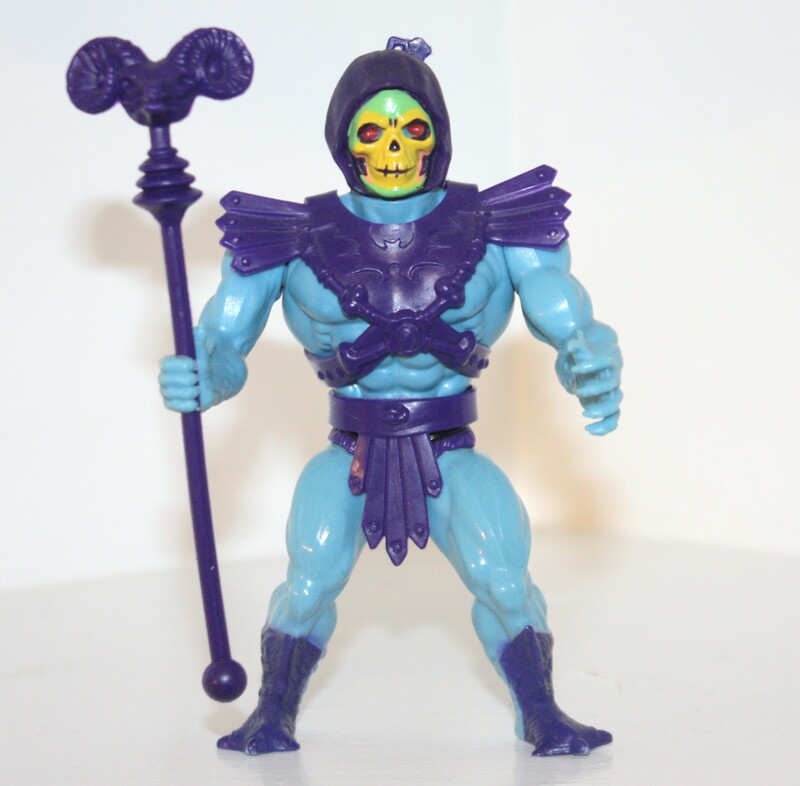 Second release MOTU Classics He-Man, with corrected shoulders and toned down paint around the eyes. 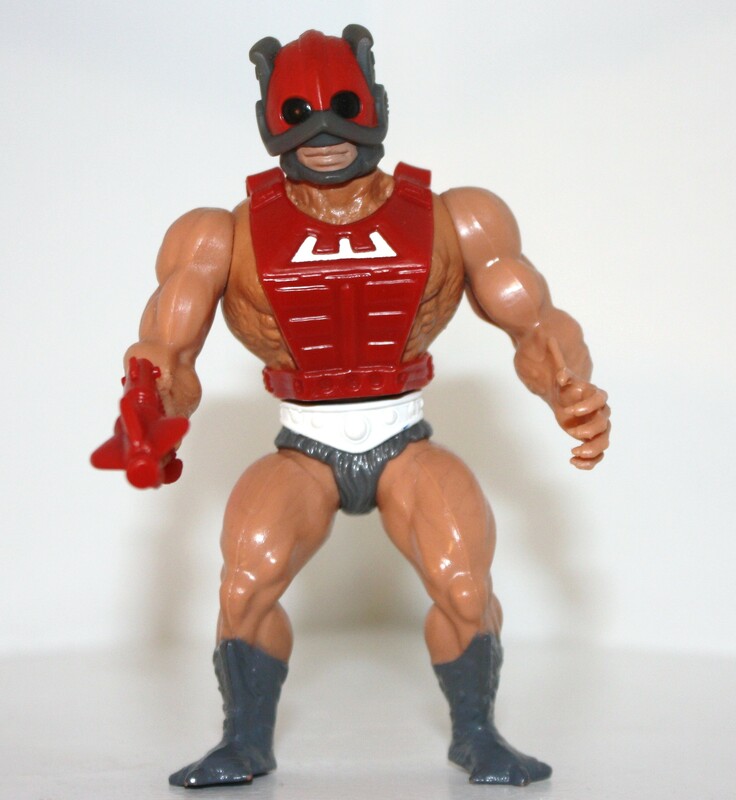 First release MOTU Classics He-Man, with reversed shoulders and red paint around the eyes. 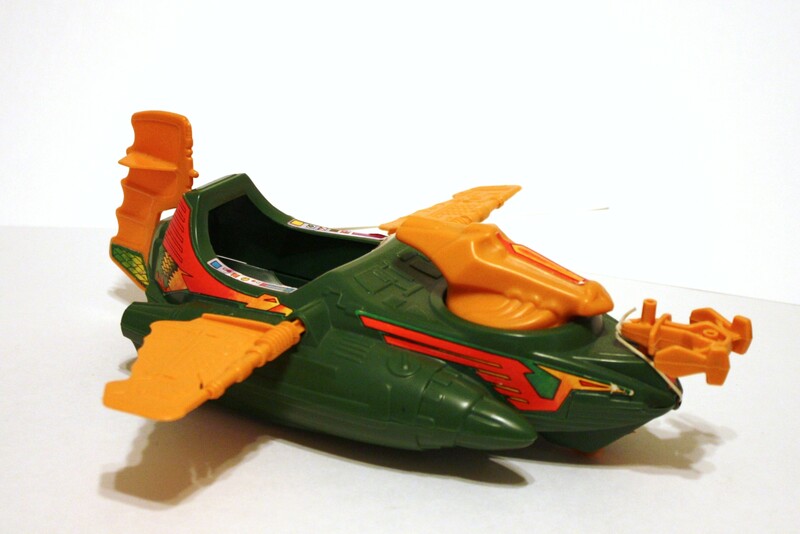 The one unique element from the cross sell artwork – the distinctive power sword – is also replicated in the Classics toy. 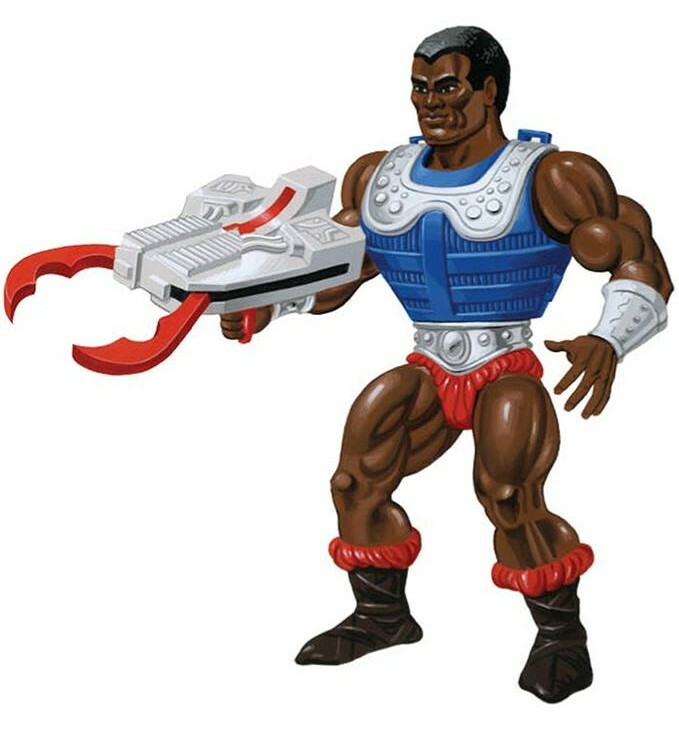 The figure is “plussed up” in several areas with new details, like rivets on the front of He-Man’s harness, leather straps on his left gauntlet, additional paint details on his belt, and so forth. He’s given orange gauntlets, which the original vintage figure would have had if it hadn’t been for cost reductions. 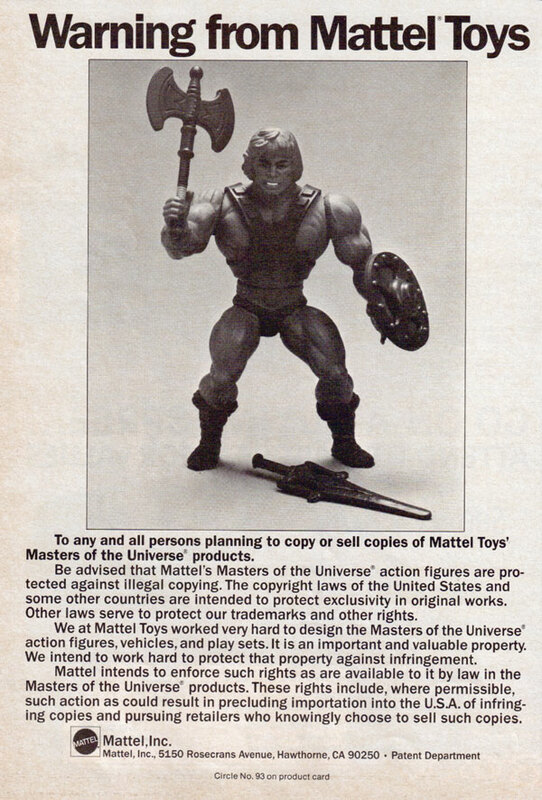 MOTU Classics He-Man’s axe and shield actually lose some detail compared with their vintage source material. The axe is given a smooth handle, without the ridges of the original, and the center section on the shield is flattened and simplified. The orange of the original shield is also changed to dark red. 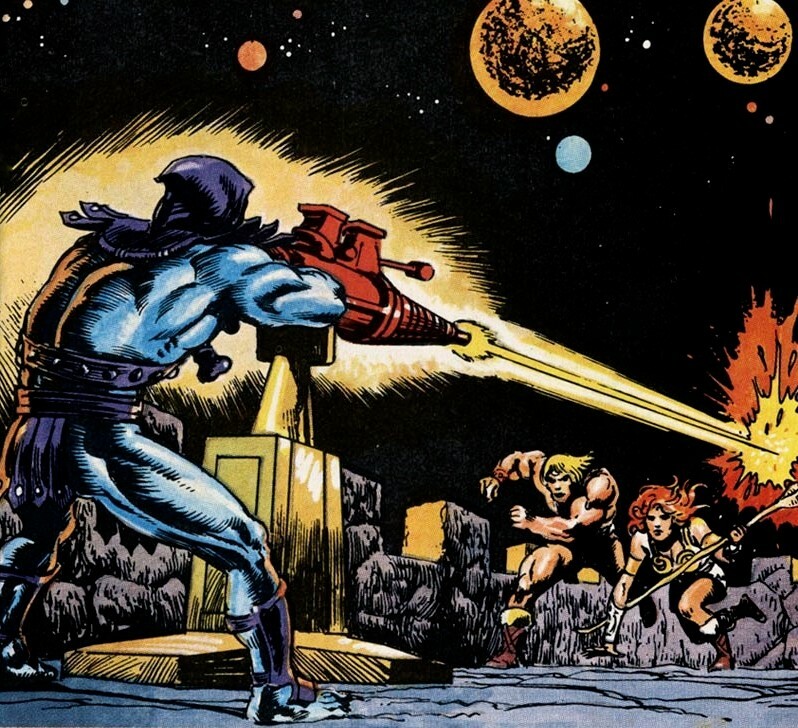 MOTU Classics’ He-Man’s head is perhaps the biggest departure from vintage source material. It’s a much more civilized and handsome-looking face compared to the rougher, gruffer vintage figure. The level of detail on the face and hair are toned down compared the vintage source material, which is a reversal of the general Classics ethos. 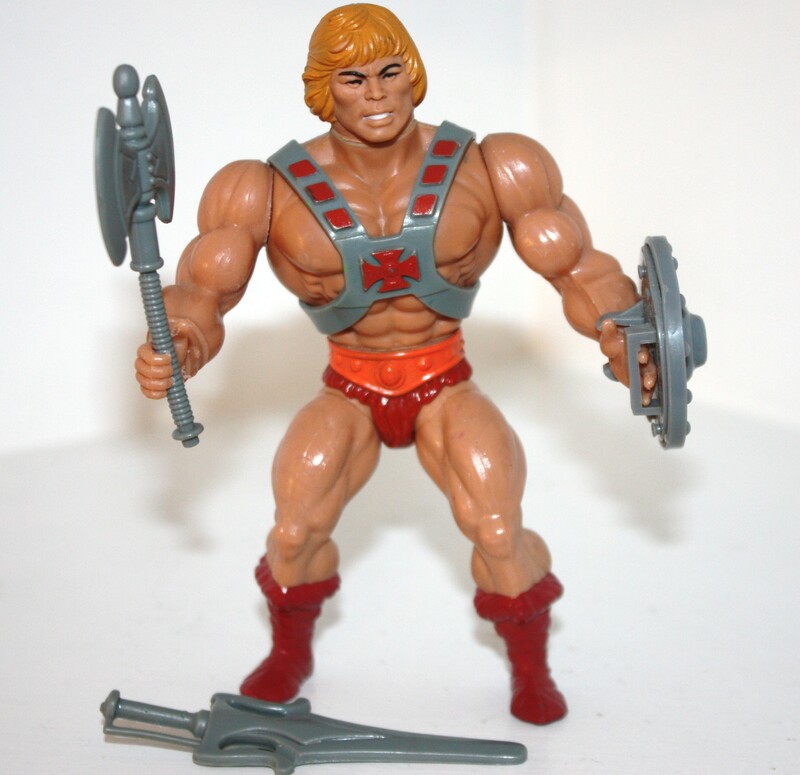 Of course He-Man was originally sculpted before the line was even green-lit, so the “spirit” of the Classics line had not been solidly established. 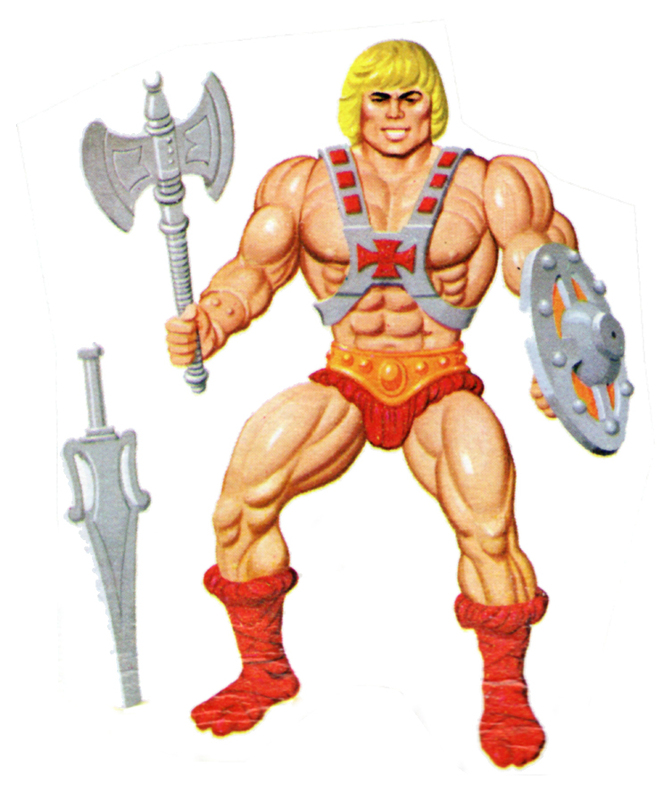 The Classics head seems to split the difference between the vintage source material and the 2002 He-Man face, which had a younger, anime-inspired look. 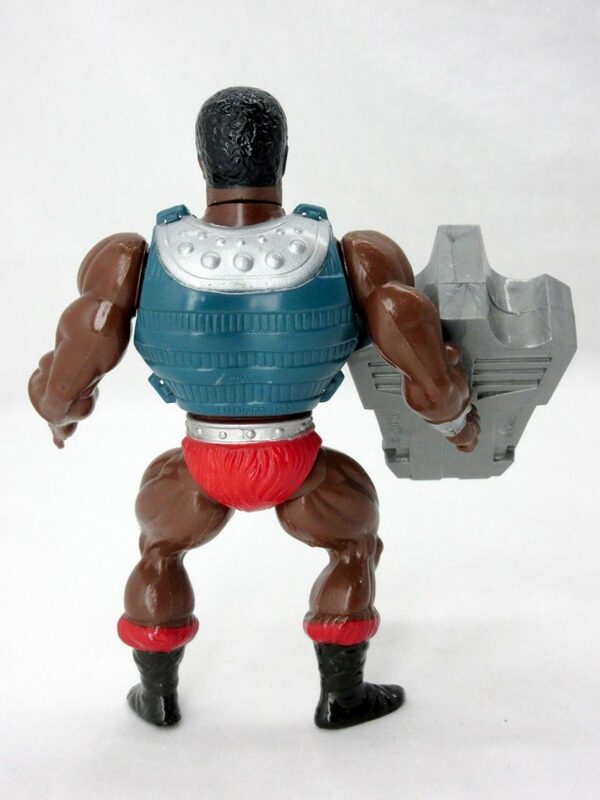 The Classics harness also has roughly square “buttons” on the straps, like the 2002 figure (the vintage figure’s “buttons” were rhombuses). The Classics figure also has quite dark red/brown boots and loin cloth compared to the vintage figure, which seem to tilt the figure in the direction of the 2002 figure’s dark brown color scheme. I was somewhat dissatisfied with this figure until alternate heads from the Oo-Larr release became available – but more on that in another post.